they should inform the Health and Safety Executive (HSE) (or in certain situations, the local authority) in the case of specific incidents including accidents that prevent workers from returning to work for seven days or more. It is an employer’s duty to conduct risk assessments, offer appropriate health and safety training, conduct emergency planning and provide adequate first aid. You can find out more about risk assessments here. All workers are also responsibility for health and safety at work and must make sure they work safely and do not put themselves or others at risk. tell your safety representative or steward. Read more about hazard reporting and risk assessment. If the risk or hazard that caused your accident is not addressed, then contact your UNISON safety rep who can advise you on the next course of action. Click here to contact your UNISON safety rep. If you have an accident that requires reporting and your employer hasn’t informed the HSE or local authority, if appropriate, they may be putting lives at risk and they are breaking the law. Read more about hazard reporting . If you become ill at work, you have the right to sick pay. This could be either occupational sick pay or statutory sick pay. Details of your occupational sick pay (if any) are listed in your employment contract. are on sick leave for more than three consecutive days – this includes weekends and days you would not usually work. If you think your employer is to blame for an injury sustained at work, contact your UNISON rep, who can take you through the next steps. If you make a claim, you are likely to require legal assistance. UNISON can support you with this and can supply legal services. Remember to act quickly, as claims must be made within three years of the incident. Your employer must have liability insurance for this kind of claim, and must display a copy of the certificate of insurance at the workplace or make it available in electronic form or, in certain circumstances, provide a copy upon request. Safety reps have an important role as they should be consulted on the employers’ risk assessments and can help in deciding whether they’re appropriate. take paid time off to perform your functions and undergo training. No workplace is entirely risk free, but it is every employer’s responsibility to make sure that the potential for accidents at work is eliminated or minimised. You have the right to work in a safe environment, without unnecessary risk from accidents. Your employer has a duty to protect you at work. Your employer must report serious accidents to the HSE or local authority. 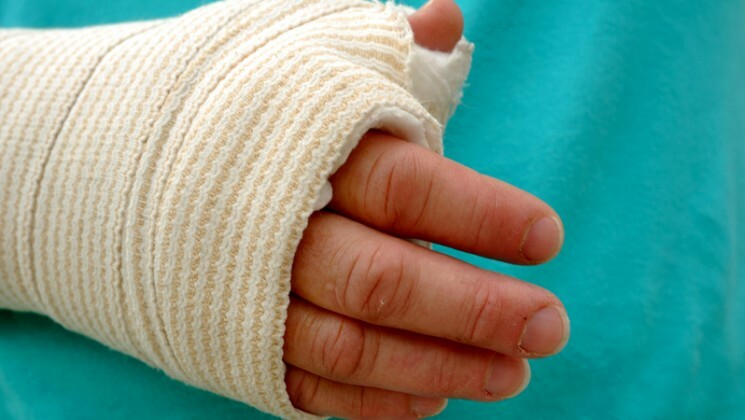 If you are injured at work, you may have a legal case against your employer. This is a document that details the time and place of any accident in the workplace. Safety reps are entitled to information recorded in the accident book. An accident can help employers to identify risks in the workplace and may help if you wish to make a legal claim against your employer. What if I feel my workplace is unsafe? If you do not feel it is safe to work in your workplace, you should tell your employer about your concerns, and, if they are not resolved get in touch with your UNISON steward or safety rep.
Do not put yourself in a situation where you could cause harm to yourself or others. Your employer is responsible for risk assessments, training and all aspects of health and safety at work. Employees have a responsibility to make sure that they do not put themselves or others at risk. UNISON safety reps have the right to be consulted on any changes in conditions or policies that affect health or safety. If you do not have a safety rep in your workplace why not consider becoming one? Whistle-blowing and disclosure of wrong doing on health and safety – Q & A.
Leaflet to help branch health and safety officers/reps with information on how to take a stand against the government’s attack on health and safety at work.